QSS offers economic consulting services for commercial litigation, including business valuations and the analysis of lost profits. We have traditionally been engaged for unusual high-stakes disputes which require superior acuity and research skills coupled with intensive data analysis. 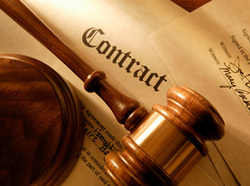 In the past, QSS has tackled cases involving breach of contract and trade secrets in both state and federal court. We welcome the opportunity to discuss our capabilities or provide an initial consultation for an exceptional case.